Viral marketing is a marketing technique that uses pre-existing social networking services and other technologies to try to increase brand awareness, it is also known as marketing buzz. It can take the form of video clips, interactive flash games, images, text messages and even email messages. The goal of viral marketing is to create viral messages that grab the public’s attention and create word-of-mouth about the current product or services. It is often associated with Stealth marketing, being that both marketing strategies aim to advertise to the public without them knowing they are being advertised to. 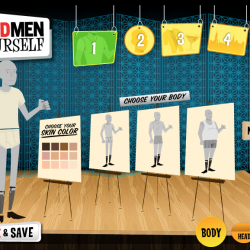 AMC launched Mad Men Yourself, an avatar creator, to help create buzz for the third season of Mad Men. The avatar creator allowed the public to make a stylized ‘60s version of themselves. The site received a half a million visitors in just the first week and because of this brilliant viral marketing campaign, the premiere of season three of Mad Men had record ratings. At AlphaDawn we employ some of the most creative minds to craft online content for you with the aim of spreading the value of your business by word-of-mouth. Today that is done by chick and sharing. Instead of your fans telling their friends one at a time they can tell hundreds of their friends all at once. What you need to do is ensure you provide them with an engaging vehicle to do so. That’s where we come in! Contact us today and get viral! Send our online team an email at truthtoldwell@alphadawn.com today!